Sims Residences is located opposite Sims Ville. It is near to the Paya Lebar MRT station. 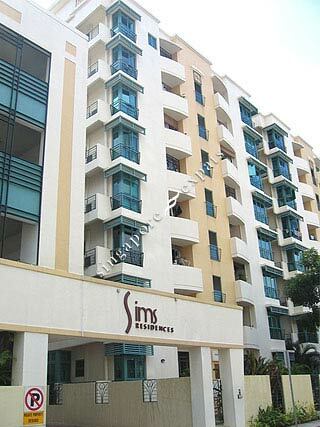 This condo is situated in Geylang, where many eating outlets and retail shops, City Plaza Mall and numerous amenities are with a short walk away. Sims Residences is a short drive to the Central Business District and Suntec City via the Nicoll Highway and the Pan Island expressway (PIE) nearby can lead you to all parts of Singapore. Ideal for people working in CBD or Changi.